David Jarvis, Head of Year 5 and Computing Coordinator at St Stephens Junior School, Canterbury describes how he designed and led a project for his NPQSL assessment using Kindles to motivate underachieving, disengaged readers producing some impressive progress data in reading but also demonstrating positive support for his school’s values of Independence, Creativity and Respect. As Subject Leader for computing, and the Head of Year 5 I wanted to design and implement a project for my final NPQSL assessment relevant to my role that would significantly impact upon a key improvement area across the school. Following a discussion with our Headteacher, Stuart Pywell and working with my NPQSL coach, Gary Edwards I decided to focus on the use of technology to improve pupil attainment in reading. Our RAISE online data had identified this as being the weakest area of achievement in the school. Consequently, after further discussion with the Headteacher and the SLT I set the main objective of my project ‘to improve reading attainment and progress in school’ by providing a strategy to move underachieving, disengaged, pupils towards the ‘expected’ levels of attainment for reading. As Computing Coordinator I understood the potential of technology to enhance learning in different areas of the curriculum and I could see the opportunity to test the hypothesis that technology would be particularly effective with disengaged boys in their learning – in this instance in reading. My project strategy started with identifying an appropriate group of children who were regarded as underachieving and ‘disengaged readers’ with a view to assessing their progress from reading using e-readers (Kindles) that had been obtained by the school on a lease basis. Relevant baseline data for each child in the project was recorded. The reading programme I designed in consultation with another colleague included both reading in school and at home with a structured evening reading plan. The home reading set for each week was then followed up with a weekly individual in school reading sessions and the results were monitored. I was able to capture qualitative data on when and for how long the kindles were being used and also record quantitative data on the children’s experience and attitude to reading in direct discussions with individual pupils. Furthermore I could see how the project would impact positively on our school’s values of independence through encouraging confident independent readers, creativity in the way that the children were able to engage in the characters and themes in the stories they read and in respect both for themselves but also in the way in which they were trusted to look after the devices at home. My vision was that the project would also increase parental involvement in their child’s reading and engagement with the school because of the need for written agreements and liaison with the school over the use of the devices at home and their safe return. The end of term assessment showed that 100% of the involved pupils had improved in their reading attainment: with 60% of the initial group increasing in their reading age by over 6 months within the four month period. All pupils also improved in the number of questions that they were getting correct in their weekly comprehensions. The e-reader trackers demonstrated that all pupils (identified as previously reluctant readers) were reading at home more regularly and for longer periods than they were before participating in the project. For some children the increase was very significant. Parental surveys confirmed that all of the parents of the children in the focus group were reading more regularly with their children than before the intervention of the project. The pupil surveys strongly suggested that the project had significantly changed the boys’ perception of reading and this was confirmed in individual discussions with the children. All boys said that they enjoyed reading more than they did before the project. All boys said they were more likely to choose to read at home since their participation in the project and the increase in their reading evidenced by the tracker software suggested this to be a true reflection on their part. The project meant that a significant number of the lowest achieving pupils moved closer towards the expected level of attainment. With this data evidence the Headteacher agreed to expand the scheme across all year groups. The children in the focus group developed in the value of independence. Before the project the focus group were children with a poor record in handing in their reading diaries to evidence their reading at home. During the project all children took responsibility for their e-readers (taking them home, using them to read and handing them back in each day). The children in the focus group developed in the school value of respect. All children took care of their e-readers, showing respect for the property that they had been given to look after. The children in the focus group also developed in the school value of creativity. All children demonstrated creativity within the sessions by responding in a variety of ways including in talking about the characters and the storylines in the books they were reading. It was especially rewarding for me that the author Dan Freedman became aware of the project and he endorsed it on his website, recommending that other schools try a similar scheme to engage disengaged boy readers. He came into school to meet the children involved in the project and at meeting with myself, the school Reading Co-ordinator and the Headteacher, he explained that he would like to try the project on a larger scale in the USA, and took the assessment results of this project to help him show the impact such a scheme can have. In conclusion, the NPQSL is an excellent programme and I valued the emphasis on the importance of using coaching and reflection to facilitate innovative thinking and creative problem solving. I found that the programme content and the regular coaching sessions invaluable in assisting me to find solutions to the inevitable project problems such as securing the necessary budget and to explore and develop the strategies needed to ensure this project was a success. In particular I learned to develop a wider range of leadership styles, sometimes being more assertive in my decision making, on occasions establishing appropriate ways to influence key people such as the Headteacher and some colleagues who were initially sceptical about the project but whose commitment was essential. The sessions were sometimes very challenging but there is no doubt that I have become a more reflective, insightful practitioner and more effective leader on whole school issues as a consequence of this programme. 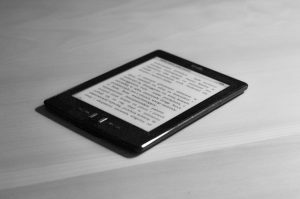 Are you maximising the potential of technology and devices such as Kindles to support children’s learning across the curriculum? How do you ensure the development projects in your school/academy positively support the vision and values? How do you evidence and assess the impact of leadership development in your school/academy? How do you encourage and support risk – taking, creative – problem solving and innovative thinking across your school?